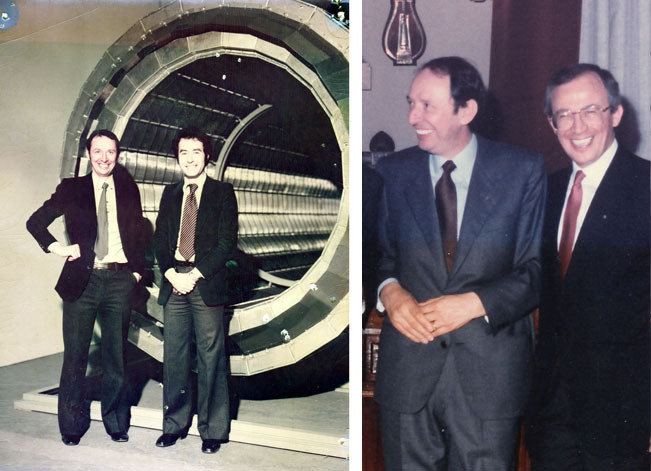 Discover the milestones that have led Fava to becoming the leader in the industrial dry pasta and couscous production field by going through this timeline. Our passion comes from afar and continues to grow. Three generations of our family have led and continue to lead the business, maintaining production standards of the highest quality. Client partnerships and research and development have allowed us to reach more and more prestigious results. 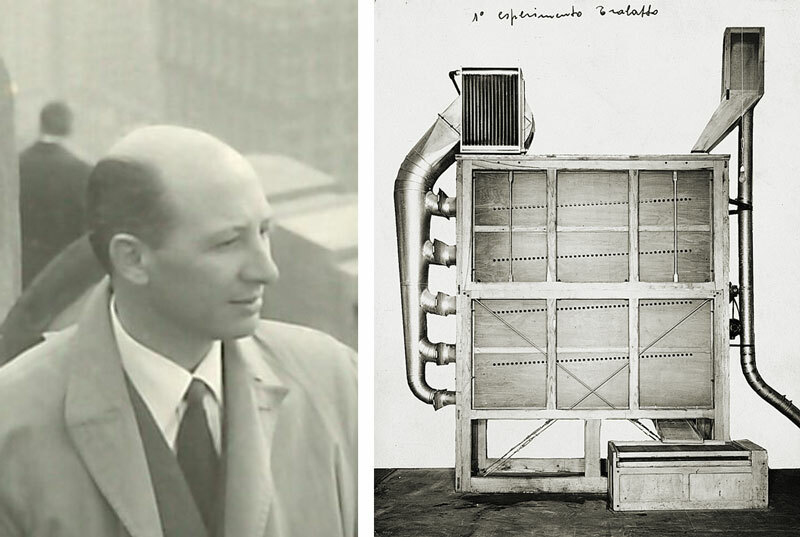 From an original idea of the founder in 1937, Augusto Fava, the first continuous short goods dryer was created: the shaker (trabatto), opening the door to automation in the pasta field. 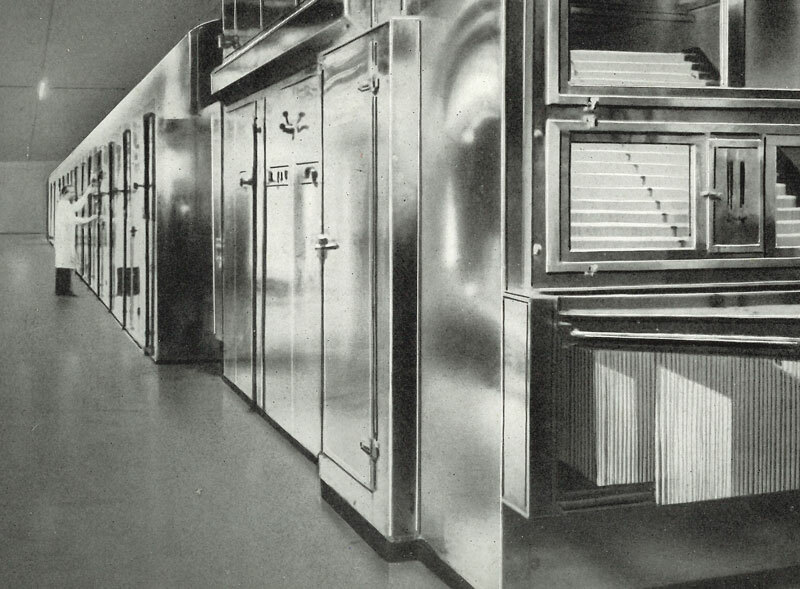 This particular event marked the beginning of the company’s pasta equipment manufacturing activity. Creativity, passion and innovation, the three winning factors that have distinguished the company’s activity right from the start, placing it as the global market leader. When dryers were made of wood. 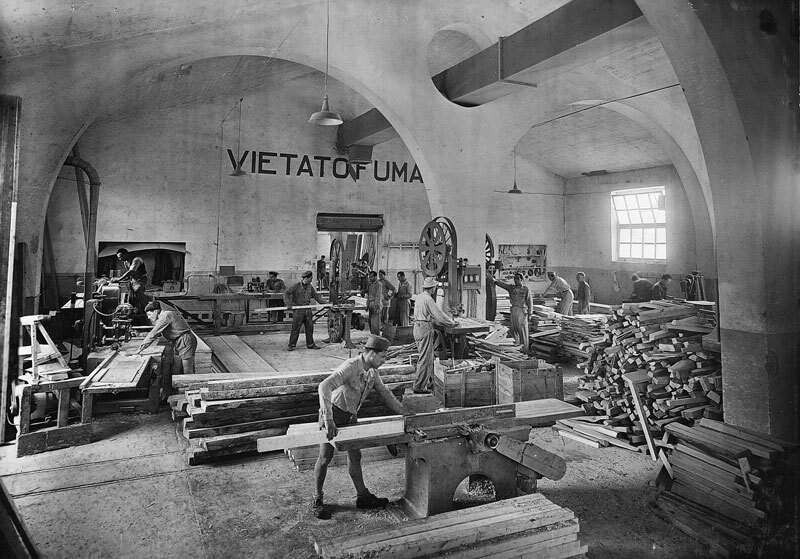 Carpentry department in the company's workshop. The trabatto, the very first phase of the continuous drying process, is to be followed by the Rotante drum dryer. This dryer completes the entire drying cycle of the short-cut pasta process and will become the most innovative machine of that period. A battery of rotary drum dryers will generate a complete drying line. 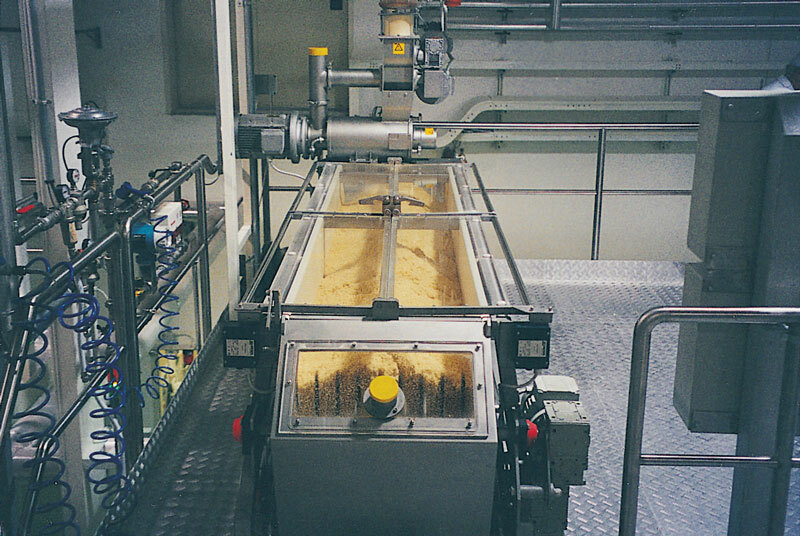 After the short-cut pasta process, the field asserts the need for automating the long-cut pasta process. 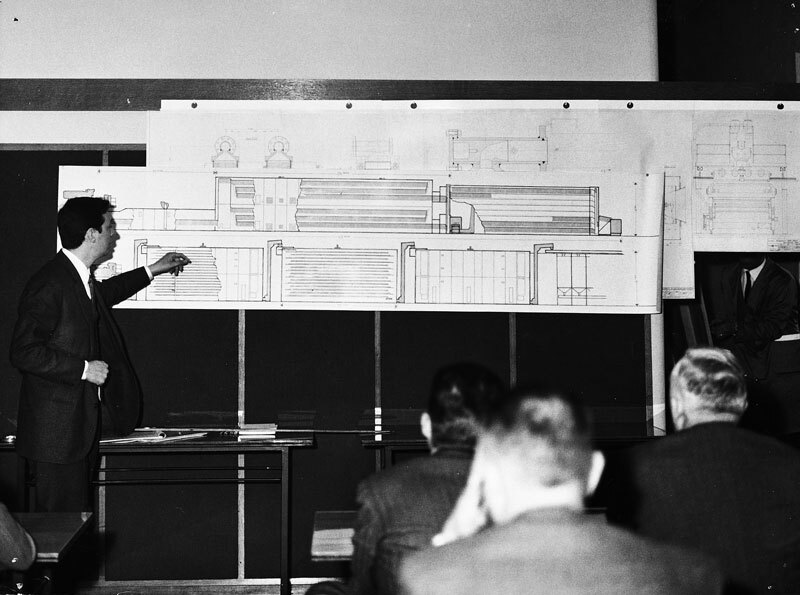 The first step will be determined by Augusto’s project, which involves a continuous drive tunnel equipped with trolleys. 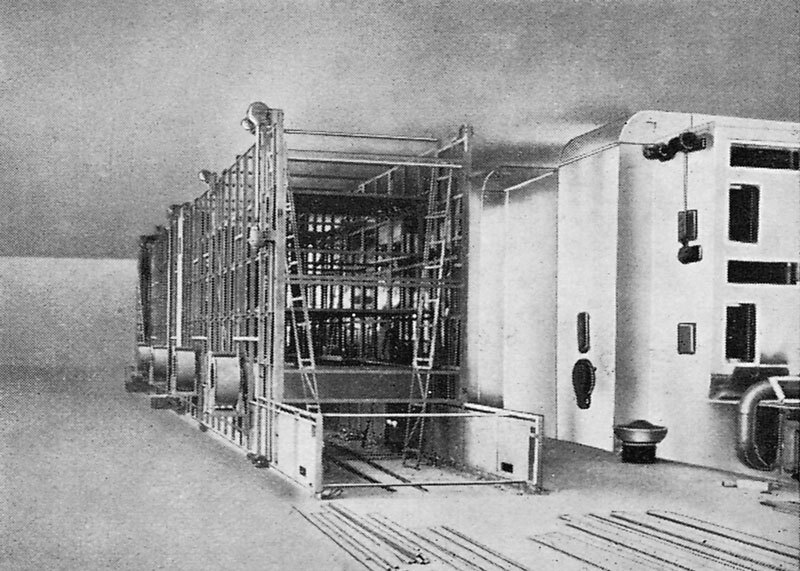 The spaghetti enter the tunnel on trolleys on one side and they are advanced by a mechanical system. The spaghetti transit through the various drying phases and exit, perfectly dried, at the opposite side of the tunnel. The company grows at a very fast pace and Augusto gets his two brothers involved: Arturo and Lino who will play vital roles within the company. 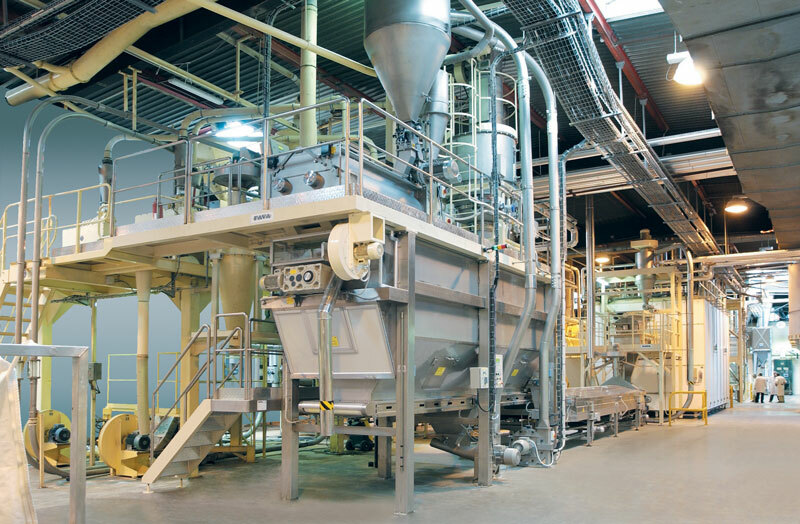 The GPL 3P represents the true progress in the long-cut pasta conveying process. The sticks move independently of the trolleys and follow a 3-tier transit route. A specialized mechanical rack system ensures the correct advancement of the sticks through the various drying phases. 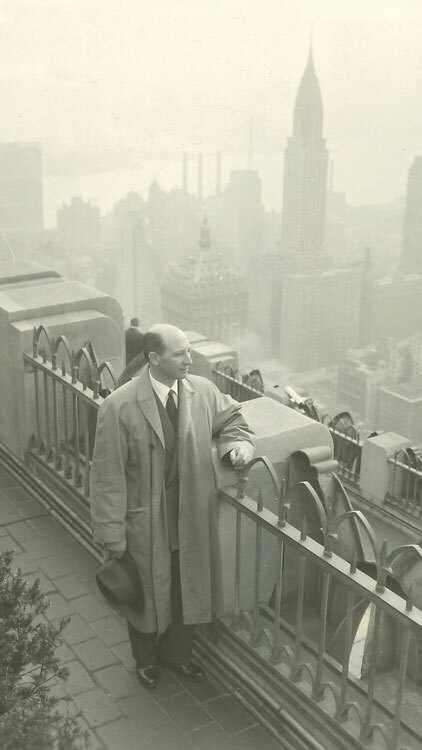 A time of global expansion for the company. Augusto spends a considerable amount of time in the U.S. in order to contact all potential clients on that side of the world. 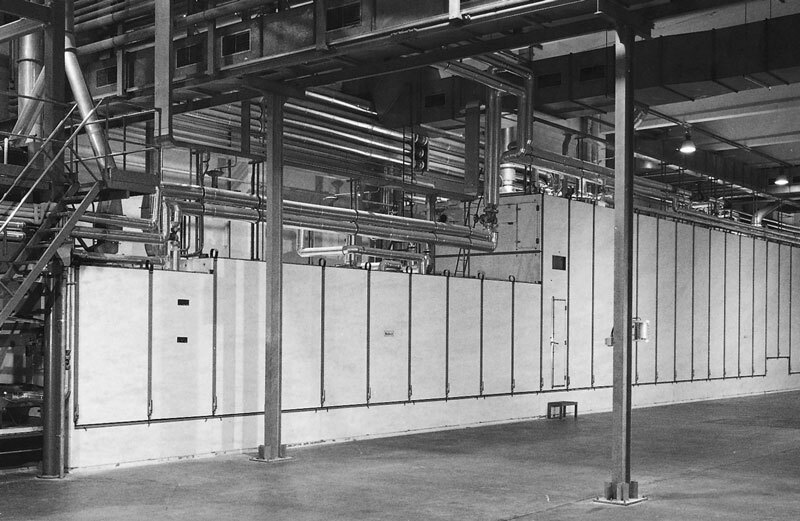 GPL 5PV: This is the dryer, from technical and technological points of view, which marks one of the most significant milestones during the initial stages of our history. 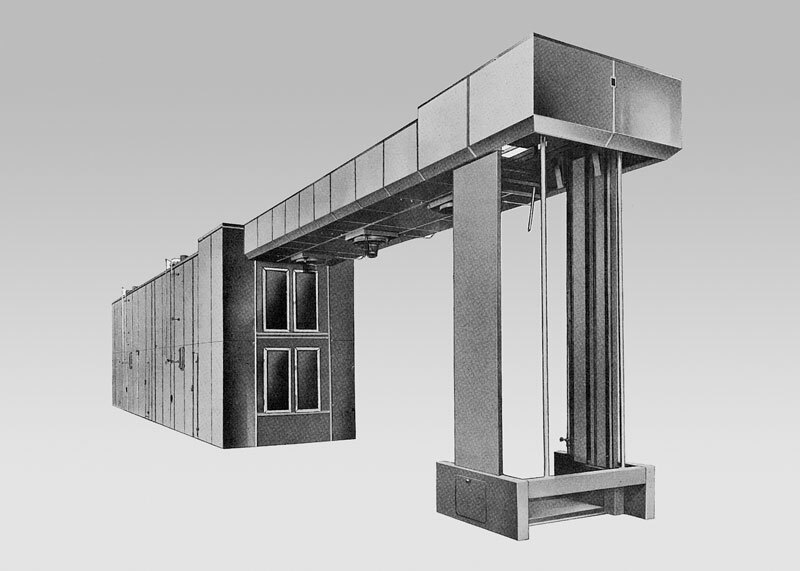 This vertically developed line requires limited length spaces, thus favoring installation in almost all existing factories. The drive mechanism is consolidated by means of a patented rack system which, for its reliability, is next to none. 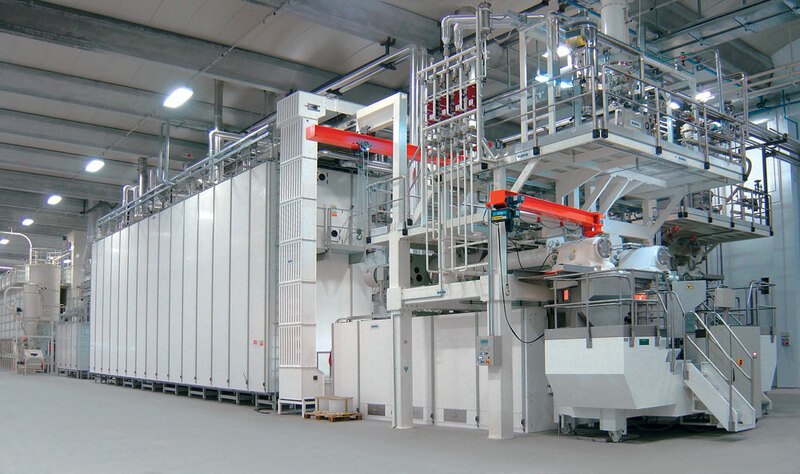 After the GPL 5PV prototype, the definitive GPL 5-tier model series is built, which will be installed in the majority of the most important pasta factories throughout the world. 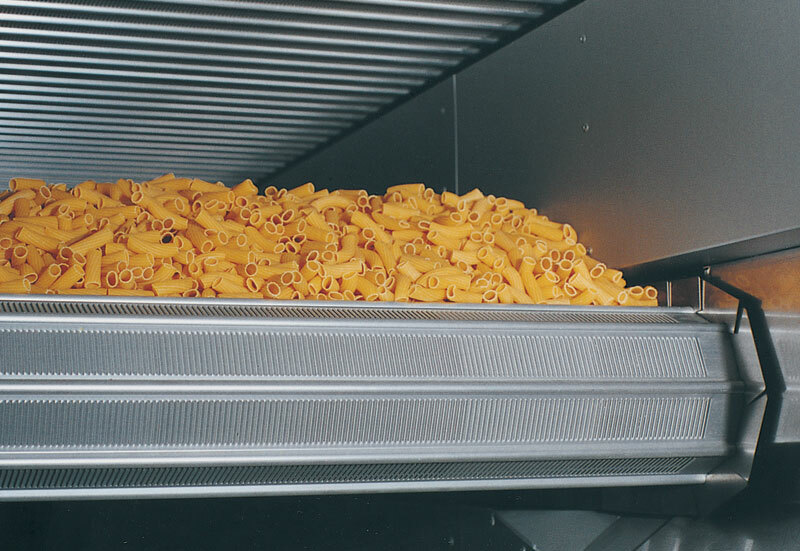 To complete the traditional range of long-cut and short-cut pasta shapes, an automatic process is required for specialty pasta shapes (nests, lasagna etc..). This is why the GM line was invented. The GM is the first pasta tray line, characterized by a continuous drive mechanism through the application of pushing devices, renowned on the market for its originality and efficiency. 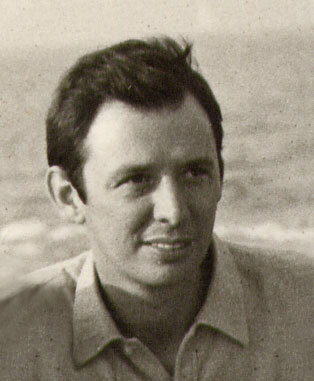 Enrico Fava, Augusto’s first-born, enters the company with technical expertise, after having spent several years on-site during various pasta line assembly and commissioning projects in the most important pasta factories throughout the world, during which he acquired all the necessary field skills and experience to assist his father in the technical management area of the company. 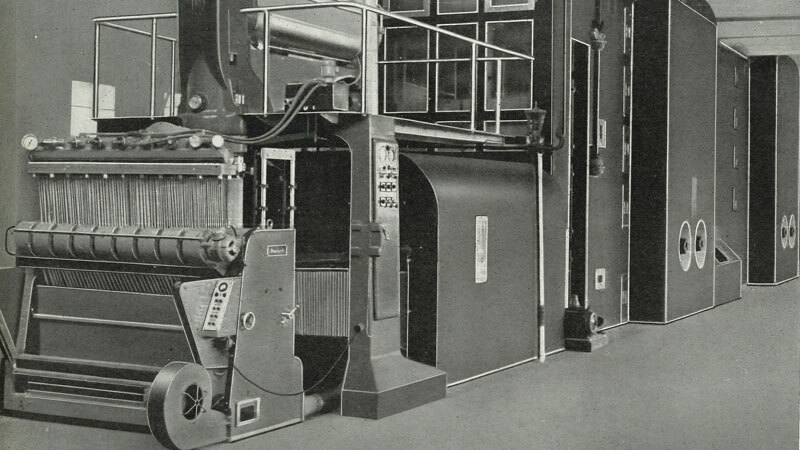 That same year, the Teless dryer is launched, the only machine in the world that moves belts, made of synthetic material, without the application of chains. Small-diameter grooved rollers are used. 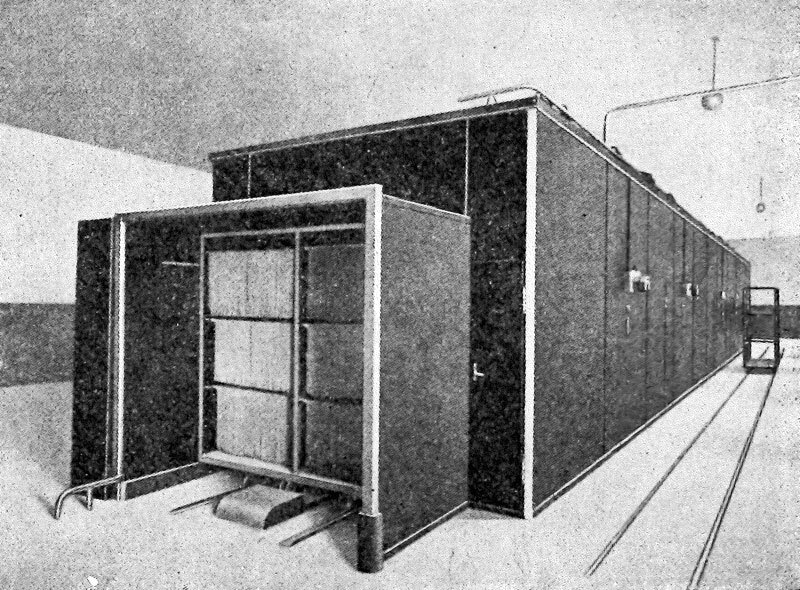 The Teless system is one of the company's most innovative patents. This solution is still successful today. Enrico Fava making a presentation of the biggest lines ever made. This is the most challenging opportunity up to this point in time, which permits the company to acquire the experience necessary to face any problem that may cross its path. Based on an intuition of Enrico Fava, the most important innovation in the field of dry pasta production is created: high temperature drying. The line will be defined as the ATR model and its technology will eliminate pasta stickiness, making it much tastier and much more popular on a world-wide basis. A discovery that goes unchallenged for 8 years. This date marks the generational transition: alongside Enrico, after his graduation, his brother Gianni and his cousin Leonardo will manage the company’s finance and production departments respectively. 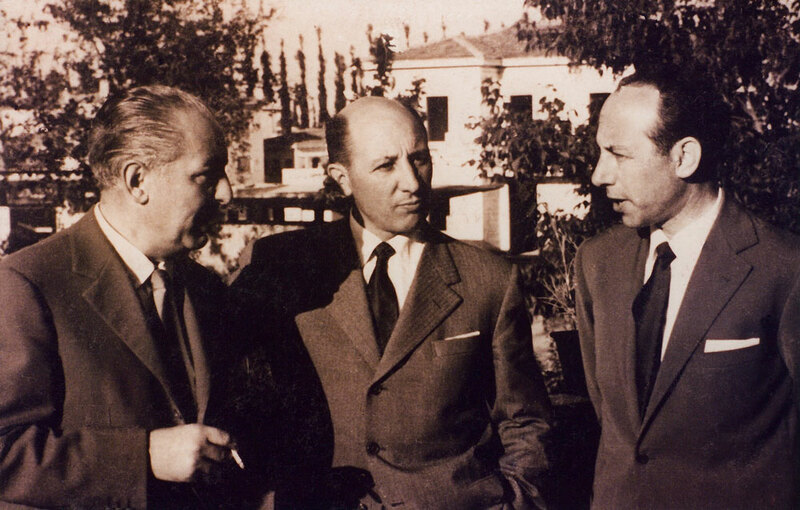 Augusto thus hands over the reins of the family business to the second generation after transmitting all the values and skills necessary for managing a complex and challenging activity. TCM - continuous metal belts. Another ingenious patent that uses a new system of slotted belts applied to a traction chain. 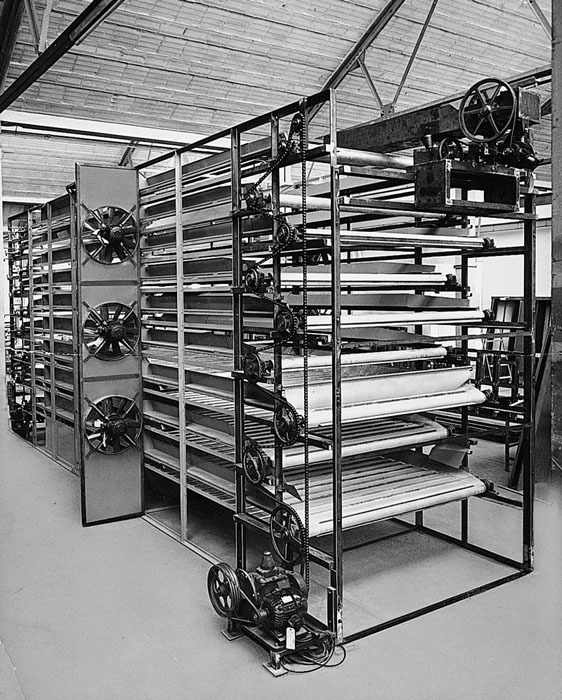 This is a line capable of handling any type of drying diagram for all short-cut pasta shapes. After graduating from a degree in Business and Economics, Luigi Fava joins the company and acquires several years of experience which will lead him to the role as Managing Director and General Manager, alongside his father Enrico, Chairman. The ITRG model for long-cut pasta production joins the ranks. The longest-lasting and highest-performing range of Fava’s equipment, which has all the most important and functional innovations implemented for the treatment of long-cut pasta shapes. 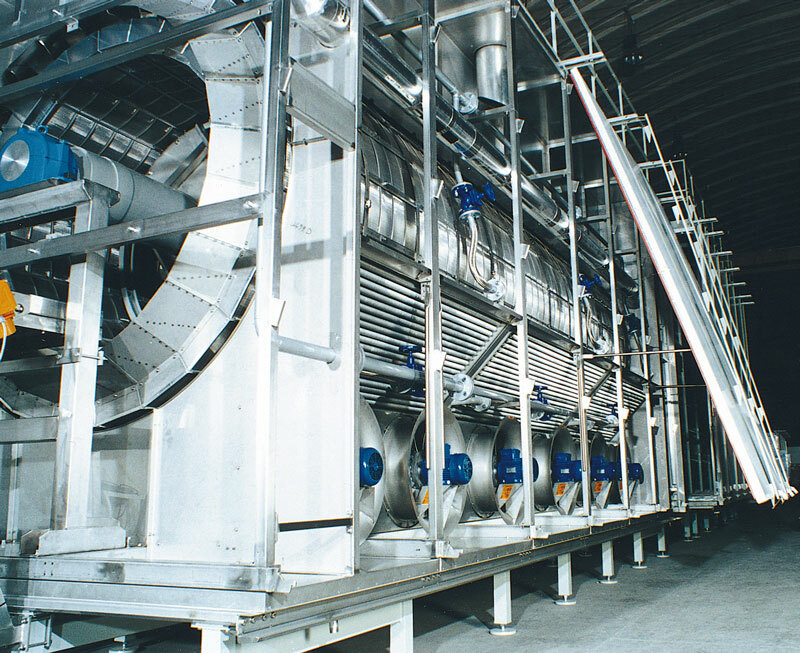 The metallic rotary drum dryer on a shaft completes the technical development of this formidable dryer which was originally invented when the company was founded. It can be used at any temperature and is perfect for drying small cut shapes and in particular for drying couscous. The company FAVA, having concluded its nearly 60 year sales exclusivity partnership with M.G. Braibanti,from this precise moment in time, proposes entire plants directly to pasta factories all over the world, carrying its own commercial brand. A new structure made necessary to successfully respond to the changed market landscape. A challenge that the Fava family will face with enthusiasm and character that proves highly successful. 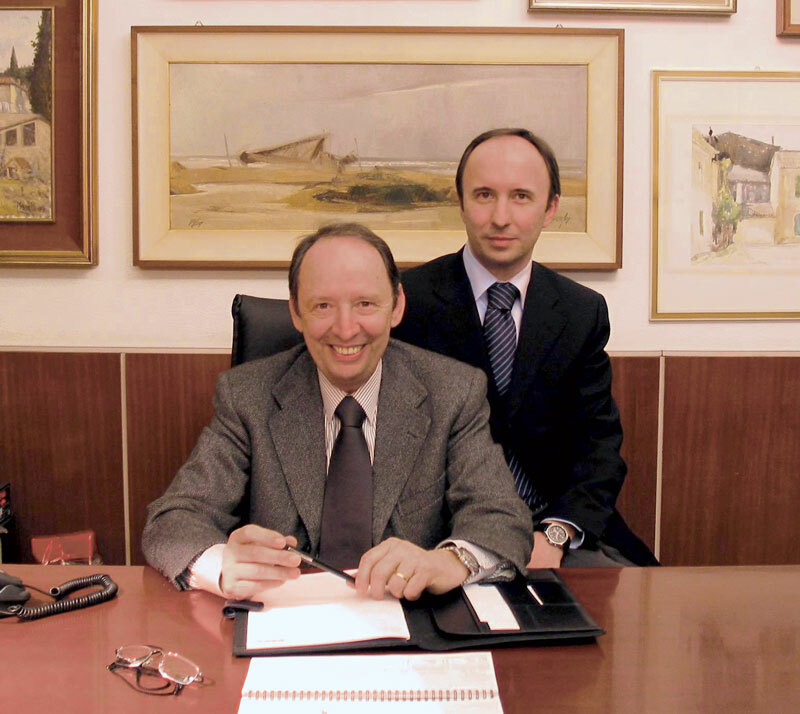 Also in 1995, the company, in full-blown technical and commercial development, acquires 50% of the company Storci from Collecchio, Parma, managed by Anzio Storci alongside his sons Michele and Simone. 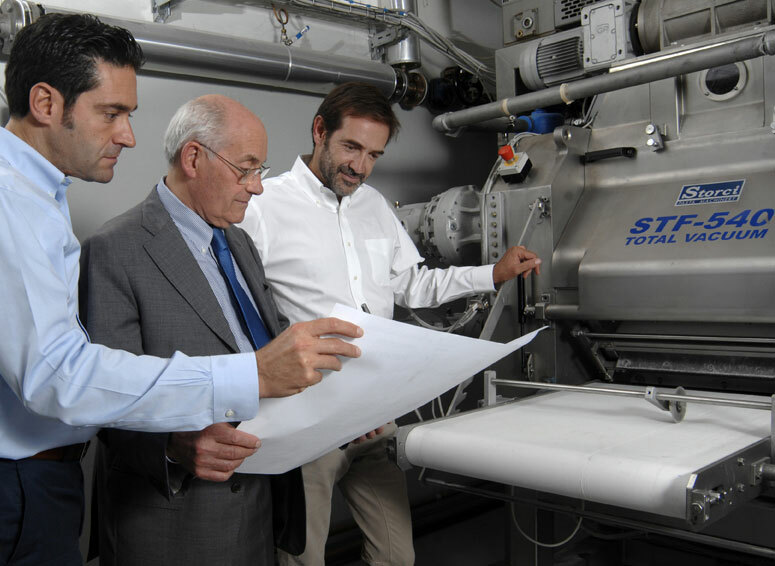 In collaboration with Fava, Storci will manufacture the largest and most innovative presses to complete the most powerful lines in the world and win over the trust of all producers in the field of industrial pasta production. 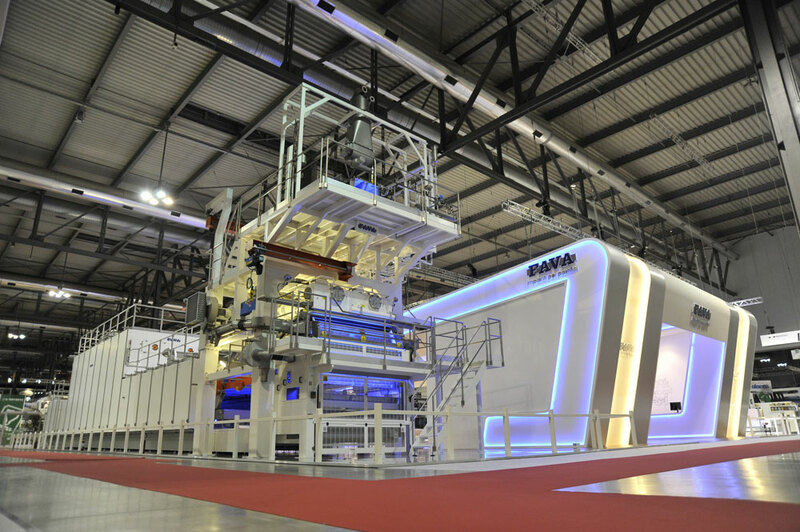 The new Fava “FA.ST 4000” press model is designed, the most powerful press of the moment, equipped with a revolutionary pre-mixing system called the “Premix” launched on the market the year after at the Ipack-Ima exhibition in Milan, achieving huge success on an international scale. 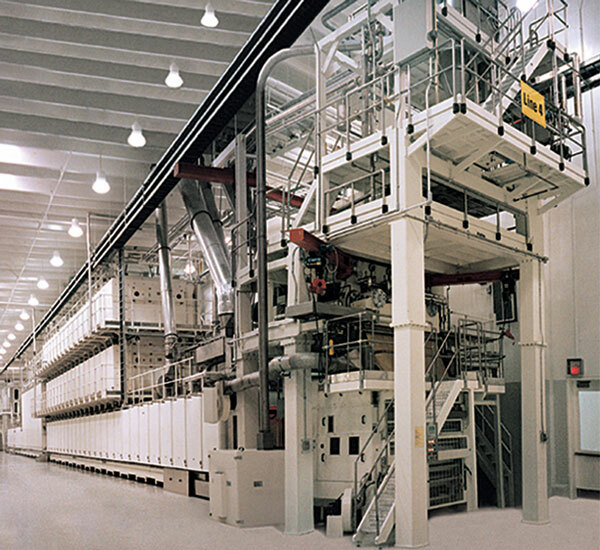 FAVA delivers the largest long-cut pasta line ever made. It is called the GPL Meccatronic 6000. After years of thorough research, an innovative couscous line is launched which produces exceptional quality couscous on an industrial level. Couscous consumption, typical of the Mediterranean area, is expanding rapidly. A new press joins the ranks. The dough is made, in the initial phase, on an original stabilization belt mixer, which enhances the yellow colour and brightness of the pasta. 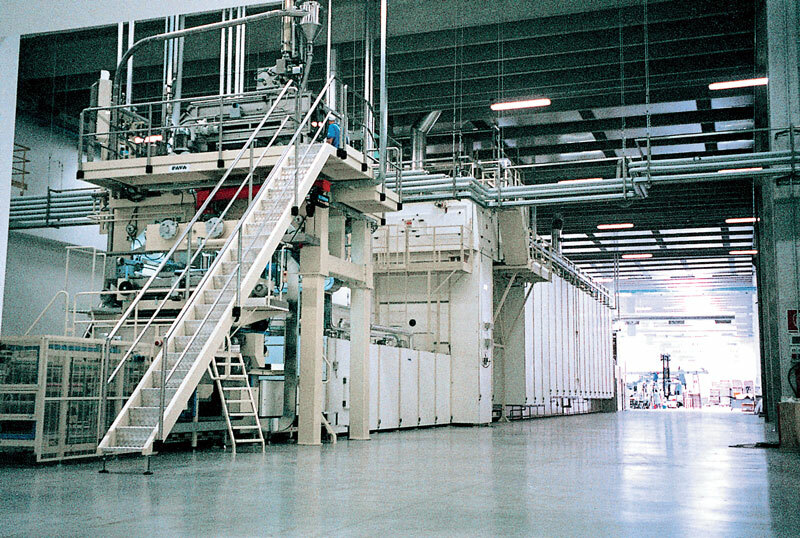 The year 2000 sees the company involved in the design and manufacturing of an 8000 kg/h short-cut pasta line: double the size of the largest short goods line installed on the market at that time. The new line is launched at the Ipack-Ima 2000 International Exhibition in Milan with extraordinary success. That same year, the GPL-ITRG 6000 long-cut line is launched on the market with a double movement mechanism which will provide endless satisfaction. Also the lines for specialty pasta shapes, like nests and lasagna, undergo an important mechanical and technological transformation. The lines will produce up to 1200 kg/h of nests and 400-600 kg/h of lasagna. 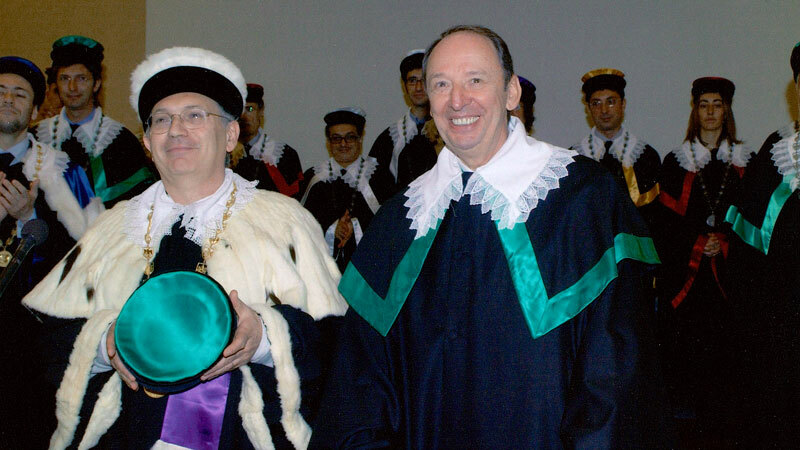 The University of Ferrara awards an Honorary Degree in mechanical engineering to Enrico Fava for his fundamental contribution to the research and development of the pasta production field and for the local economic development of his territory. 2010 marks a peak in the consumption of pasta on a worldwide basis. 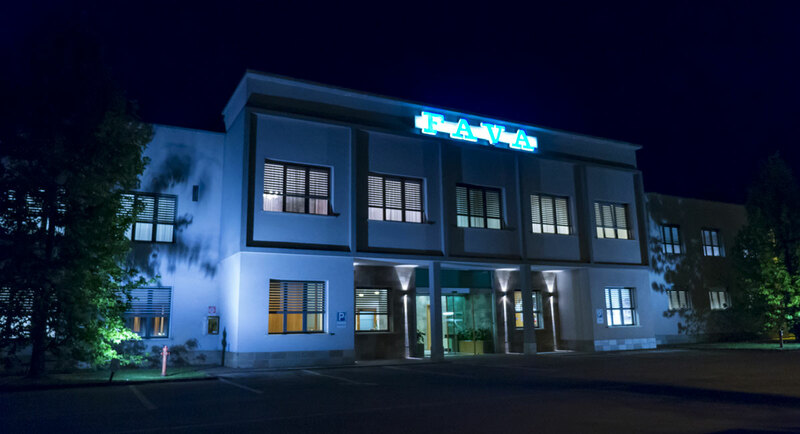 Fava spa expresses all its inventive capability thanks to the intuition on a new drying method that distinguishes the machine for its technical characteristics: modular dryer parts, simple to manage and low maintenance. The drying time of the long-cut pasta passes from 6 hours (standard drying time) to 3 hours through an accelerated dehydration process and a quick and controlled stabilization phase. A major revolution! The new model is called GPL 180. 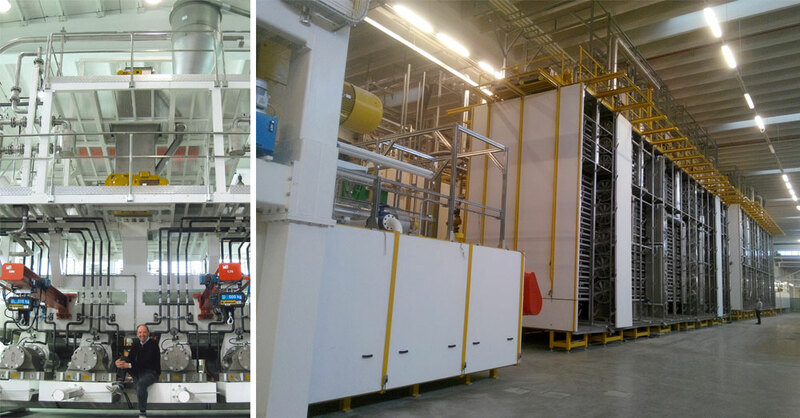 The world’s largest short-cut pasta line that you can ever imagine: 12000 kg/h !! The GPL 180 prototype has been operating and tested for 5 years and is officially launched at the Ipack-Ima 2015 International Trade Exhibition in Milan, arousing curiosity and admiration, so much so that to date 18 of these lines have been ordered with capacities ranging between 3000 and 6000 kg/h. What a party! 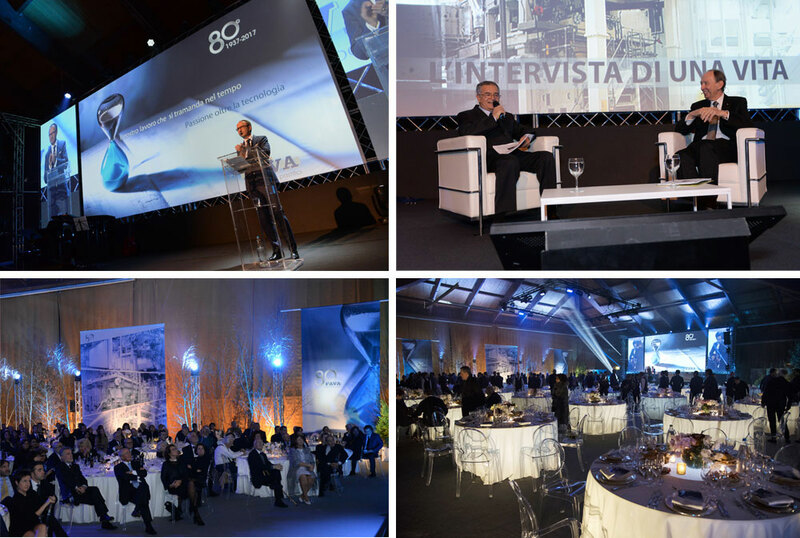 The company Fava celebrates its 80th anniversary with the Chairman Enrico Fava. The splendid evening, organized by Enrico’s daughter Emanuela, was hosted by the MD Luigi who took the guests on a trip down memory lane, highlighting the fundamental milestones of the company’s history with his touching speech and an emotional interview with the Chairman Enrico Fava.